Dmitriy is a graduate of City University of London with major in Air Transport Management and has 15+ years experience in the aviation sector. 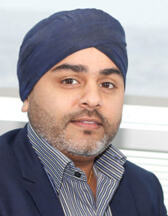 He started his career in the aviation industry in 2001 at Aerovista, Dubai in a junior role and rose to Director of Sales and Marketing. 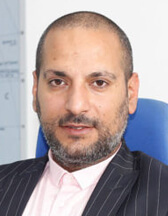 He also managed the expansion of the Middle East operations of one of the leading Brokerage Houses from 2007-2013. 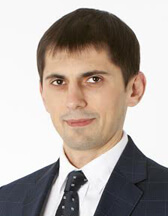 As the CEO, Dmitriy has the overall responsibility in leading and supervising the company. CEO sets the strategies and policies of the company. He monitors performance of the business, guides and supervises its management. Aziz brings with him over 13 years of robust experience in sales, key account management and channel development in charter aviation. In his aviation career since 2009, he has worked in the Middle East, Iran, Afghanistan and Africa attracting a wide clientele and engaging in strategic partnerships with leading airlines. He is responsible for the department’s global key account management, customer & supplier relations, as well as operational and tactical decision-making. Heavy Cargo Handling on the Boeing 747. At DWC, he is responsible for providing the overall strategic direction and leadership to the Cargo Department as well as manage sales retention & growth of customers. 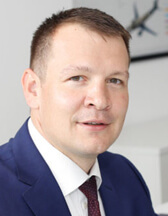 Edvard holds a specialization in World Economy from Moscow Institute of International Economics and has over 9 years aviation experience in senior management positions during the aviation boom in Russia. He launched a profitable business branch in Saint Petersburg for which he received a lot of recognition. At DWC, Edvard is responsible for contributing to the overall strategy for Private Jets business and overseeing the strategic business partnerships and sales in our Moscow office.